Learn to use a roller to increase your function, ease and fitness. Rollers are a fun way to increase your flexibility, decrease your back pain, and just plain have fun!! You will learn techniques that you can use at home. This workshop will share accessing mobility and stress management through stretching and releasing tension in the muscles surrounding the hip joints. Outside of our physical habits, the muscles around the hips are often tight in response to habitual environmental and mental stresses. Through efficient stretching of the hips, you can release this stored stress and calm the mind. Fortunately the benefits from “hip opening” yoga poses and somatic practices can lead to immediate relief of this muscular tension and with practice lead to increased mobility and better posture. Therapeutic Essential Workshops offer you guidance to work slowly and mindfully to explore new ways of moving that bring more freedom in your body and promote an understanding of how your body works. Whether you are dealing with pain resulting from an accident, an injury, experiencing chronic pain, or hold stress-related tensions, you will benefit by working at your own level. Turi Nevin-Turkel :: Turi brings to yoga the idea of mindfully deepening the connection with our body, mind, and soul, while expanding our vision to the world around us. Finding a deep focus on balance through Yin yoga has become a big part of stability that she loves to share with her students. Along with a strong dose of intention and attention, breath and movement, stillness and peace, a journey towards well-being is offered — one class at a time. Turi is certified E-RYT 500, C-IAYT offering group and private yoga based instruction, mindfulness + meditation, yin yoga specialist, integrative wellness workshops and retreats. Jane “Cutting Smart” Johnston, B.S. Psy :: Jane Johnston has been teaching group fitness classes on land and in the water since 1977 and working one on one with clients since 1997. Jane has a particular interest in working with aging clients, those that need medical fitness training, pre/post-rehab situation, with joint replacements, preschoolers and those with special needs. Jane has had extensive training in rehab and is able to draw on many modalities in her work with her clients. Jane uses the Feldenkrais Method®, her medical exercise training, yoga and Tai Chi to help her clients maximize their fitness and fulfill their potential. Breath is essential to life. It is the first thing we do when we are born and the last thing we do when we leave. In between that time, we take about half a billion breaths. What we may not realize is that the mind, body, and breath are intimately connected and can influence each other. Our breathing is influenced by our thoughts, and our thoughts and physiology can be influenced by our breath. 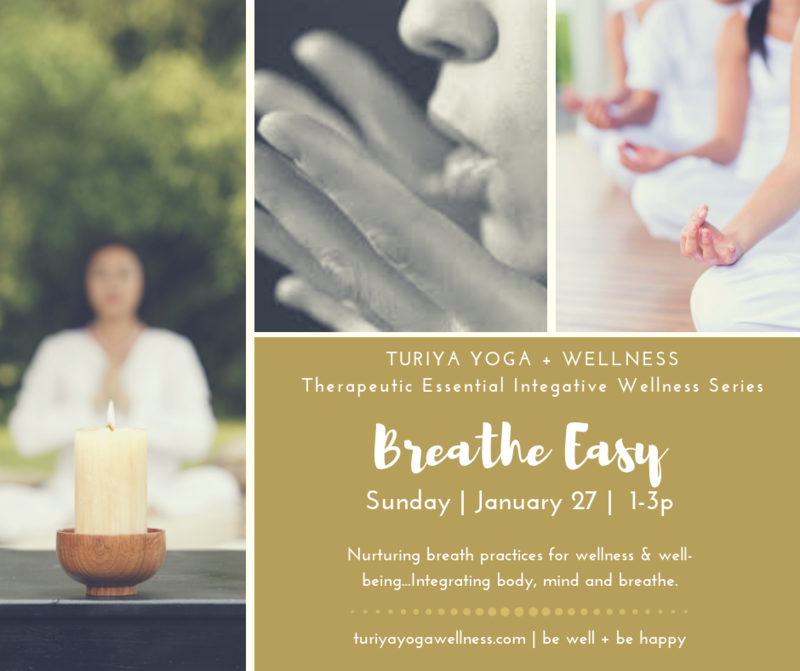 Learning to breathe consciously and with awareness can be a valuable tool in helping to restore balance in the mind and body…Plus, support overall wellness & immunity! based instruction, mindfulness + meditation, yin yoga specialist, integrative wellness workshops and retreats. since 1997. Jane has a particular interest in working with aging clients, those that need medical fitness training, pre/post-rehab situations, those with joint replacements, preschoolers and those with special needs. Jane has had extensive training in rehab and is able to draw on many modalities in her work with her clients. Jane uses the Feldenkrais Method®, her medical exercise training, yoga and Tai Chi to help her clients maximize their fitness and fulfill their potential. The Feldenkrais Method® influences all of her work. Join me for an online class Monday January 14 at 11am. I am offering an online class via Zoom at 11am tomorrow! Its easy – please try and come. Here is the invitation to the class. You can call in on your phone or log in via computer or do both. Everyone welcome! Jane Johnston is inviting you to a scheduled Zoom meeting. If possible have your computer camera facing you. We will do some walking and balance followed by floor work for your feet and back to walking and balance. No shoes. If you have never tried a Fluid Motion, this would be a wonderful place to start. There is no charge for this class – my snow day present to you. Fit Over Forty April 2018! Class Schedule and other News!